The Story: 1809, France. Captain Neuville is called to the front, leaving his future bride heartbroken. Her sister decides to write letters on his behalf to cheer her up. But it all goes south when Neuville reappears. This movie premiered in Seattle as the opening night feature film of SIFF's French Cinema Now film festival. 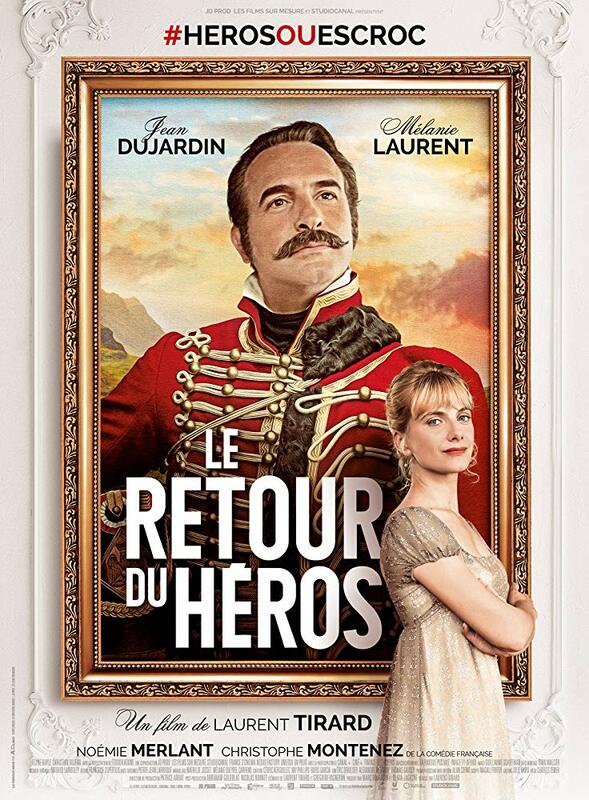 Having a chance to see Jean Dujardin and Mélanie Laurent on screen together is worth the price of admission alone so I had to check it out and was not disappointed in the least. The story is fun and very light hearted and never once takes itself seriously which is exactly what you want from this type of rollicking comedy. The duo, as expected, work really well together and are a delight to watch on screen. Dujardin is most notable for his brilliant work in Oscar winner The Artist and his comedic talents are on full display in this film as well. Pairing up his goofy yet refined demeanor with the elegantly delightful Laurent was inspired casting and seeing their characters jab and spar and unwittingly fall for each other is an absolute delight to watch unfold.